Welcome to A Sampling Bee! 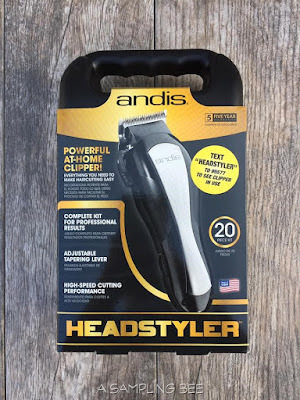 Today, I share with you the Andis "HeadStyler" At Home Hair Trimmer! This Andis Hair Trimmer allows you to trim and style your hair right from your very own home. With salon results! 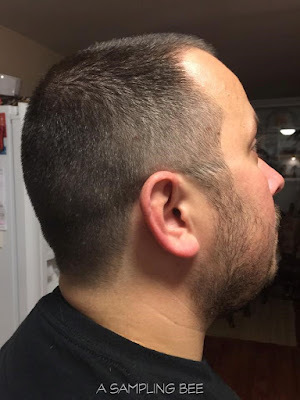 Perfect for maintaining shorter styles like fades and crew cuts. Read my review below! The "HeadStyler" Kit comes with 20 pieces: Clipper, Stainless Steel Sheers, Barber Comb, Tube of Blade Oil, Twelve attachment combs: 0 (1/16") 1.5mm, 1 (1/8") 3mm, 2 (1/4") 6mm, 3 (3/8) 10mm, 4 (1/2") 13mm, 5 (5/8") 16mm, 6 (3/4") 19mm, 7 (7/8") 22m, 8 (1") 25mm, blending comb, left taper, right taper, Hard Case and a Blade Guard. This trimmer is equipped with an adjustable, stainless steel blade. The powerful high speed clipper cuts wet or dry hair. The easy to use numbered guide combs deliver a professional looking cut. Andis has a wide variety of products available. Check out their website for more options. 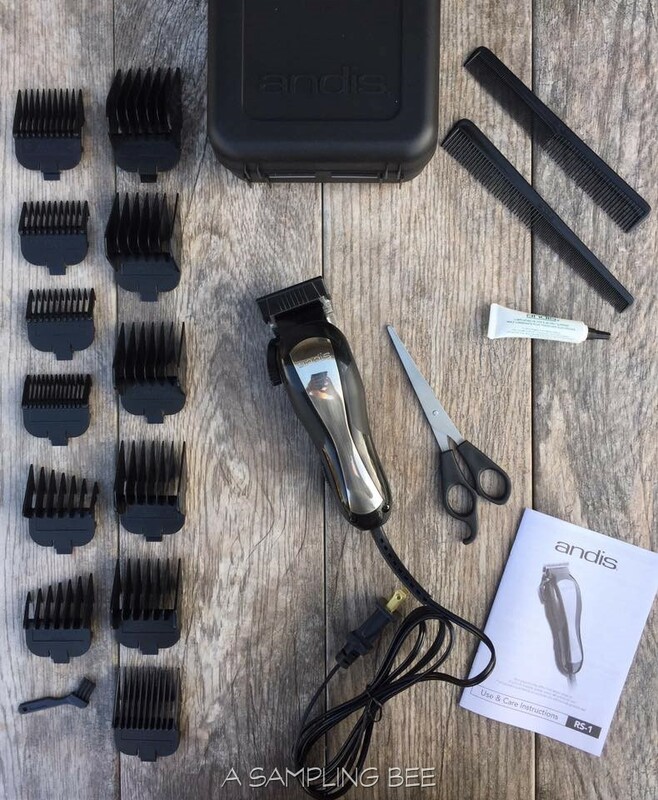 The Andis "HeadStyler" is great to have around just for neatening up my husbands neck and sideburns.This kit contains everything you need to achieve a salon hair cut, at home. Which saves a lot of money and time. Every item that is included in the kit, fits back into it's carrying case. The attachment combs are made from strong plastic. I have not had any problems with them breaking. The clipper itself fits comfortably in my hand. It's light and easy to hold. The scissors are sharp and are great for touch-ups. All-in-all, this is a great Andis Kit. I highly recommend it! Holiday Gift Guide 2016 & Giveaway!